A compound of formula (I) is provided which is able to interact with β-catenin/TCF-4 binding site, having a structure essentially equivalent to a pharmacophore (IA), as herein described. Upon stimulation by Wnt ligands to its receptors (Frizzled), the cytoplasmic protein Dishevelled is recruited to the membrane and activates Frat-1, which negatively regulates GSK3β. As a consequence β-catenin lacks phosphorylation at critical residues and escapes degradation. β-catenin is translocated to the nucleus where it interacts with transcription factors of the LEF-1/TCF family and regulates expression of specific genes towards LEF-1/TCF transcription factors are able to bind DNA consensus sequences via their HMG-domain. However, they need Co-activators such as β-catenin to activate gene transcription. The corresponding target genes are known to be involved in several aspects of human cancer and include c-myc (He T. C. et al., Identification of c-MYC as a target of the APC pathway. Science 281:1509-12,1998), cyclin D1 (Shtutman M. et al., The cyclin D1 gene is a target of the beta-catenin/LEF-1 pathway. Proc NatI Acad Sci USA. 96(10):5522-7, 1999), gastrin (Koh T. J. et al., Gastrin is a target of the beta-catenin/TCF-4 growth-signalling pathway in a model of intestinal polyposis. J Clin Invest. 106:533-9, 2000) the matrix metalloproteinase MMP-7 (Brabletz T. et al., beta-catenin regulates the expression of the matrix metalloproteinase-7 in human colorectal cancer. Am J Pathol 155:1033-8, 1999) and MDR-1 (Yamada T. et al., Transactivation of the multidrug resistance 1 gene by T-cell factor 4/beta-catenin complex in early colorectal carcinogenesis. Cancer Res 60:4761-,2000). All these target genes have been shown to be regulated by TCF-4 a specific member of the LEF1/TCF family and might play a role during cancer development and progression. Hence, the interaction of TCF-4 with β-catenin is seen one of the crucial events in particular during colorectal tumorigenesis. Over-expression of dominant negative TCF-4 in colorectal tumor cells causes cells to arrest in the G1 phase of the cell cycle supporting the relevance of TCF-4 in tumor cell proliferation (Tetsu O. & McCormick F., Beta-catenin regulates expression of cyclin D1 in colon carcinoma cells. Nature, 398: 422-6, 1999). Hence, the interaction of β-catenin and TCF-4 represents a promising target for therapeutic intervention in cancer and small molecular weight inhibitors of this interaction might have anti-tumorigenic effects. Some 85% of all sporadic and hereditary colorectal tumors show loss of APC function, which results in stabilization of β-catenin (Kinzler K. W. & Vogelstein B., Lessons from hereditary colorectal cancer. Cell 87: 159-70, 1996). Among the colorectal tumors not bearing a mutation in APC, most carry a mutation in β-catenin. These mutations are located preferentially within the four serine/threonine phosphorylation sites which are the target of GSK3β. Mutations in the Wnt pathway were found in other tumors including hepatocellular carcinomas, melanomas, gastric cancer or hair follicle tumors (Reviewed in Polakis P., Wnt signalling and cancer, Genes & Dev 14:1837-1851, 2000). All these alterations finally render β-catenin refractory to the ubiquitin-mediated destruction and result in nuclear translocation. Subcellular localization of β-catenin is critically regulated by APC, probably based on sequestration of β-catenin from the LEF-1/TCF transcription complex (Neufeld K. L., et al., EMBO Reports, 1, 519-523, 2000). Mutant APCs, which lack nuclear localization signals (NLS) or nuclear export signals (NES) are not able to keep low nuclear β-catenin levels (Henderson B. R., Nuclear-cytoplasmic shuttling of APC regulates, β-catenin subcellular localization and turnover, Nature Cell Biology, 2, 653-660, 2000; Rosin-Arbesfeld R. et al., The APC tumour suppressor has a nuclear export function. Nature, 406:1009-12, 2000). A core region of β-catenin, composed of 12 copies of a 42 amino acid sequence motif known as armadillo repeat, mediates the protein-protein interactions with LEF-1/TCF family transcription factors. The three-dimensional structure of the armadillo repeat region has been determined (Huber A. H. et al., Three-dimensional structure of the armadillo repeat region of β-catenin. Cell 90:871-82, 1997) and revealed that the repeats form a superhelix of helices that features a long, positively charged groove. Amino acid residues in β-catenin which are crucial for binding to LEF-1 and TCF have been identified and define a hot spot along the armadillo superhelix. The essential amino acid residues of β-catenin for interaction with LEF-1 flank a hydrophobic pocket in the region around Leu427 (von Kries J. P. et al., Hot spots in beta-catenin for interactions with LEF-1, conductin and APC. Nat Struct Bio 19:800-7, 2000). For example, the compound of the invention PNU-74654 has been identified to bind strongly to β-catenin with the following thermodynamic binding characteristics: K B: 2.2±0.9 106 Mol−1, (KD 450 nM), ΔH: −2.0±0.5 kcal/mol and stoichiometry of 1:1 (FIG. 2). This compound reduced TCF-4 affinity for β-Catenin about 10-fold. The WaterLOGSY NMR screening method developed in our laboratories (C. Dalvit, P. Pevarello, M. Tatò, M. Veronesi, A. Vulpetti and M. Sundström: “ Identification of compounds with binding affinity to proteins via magnetization transfer from bulk water” Journal of Biomolecular NMR, 18 65-68, 2000) has been validated as a highly sensitive tool for identifying binders to various targets. The method exploits the transfer of bulk water magnetization through different relay pathways to the small molecule interacting with the receptor. The method is particularly suited for the identification of protein-protein interaction antagonists. an optionally substituted, saturated, partially saturated, carbocyclic, aromatic or internally condensed ring (B); rings (A) and (B) being separated by a spacer (Y) which provides an inter-center distance between rings (A) and (B) of about 10.9±2 Angstrom; wherein the relative orientation between said rings (A) and (B) is such that the angle θ between the two centroid vectors is about 40 degrees ±30 degrees; the convention for the orientation of the vectors being such that cos θ is >0. 2. A screening method for identifying a candidate drug for use in Familial Adenomatous Polyposis (FAP) patients, patients with APC or β-catenin mutations, or patients with increased risk of developing cancer, comprising the steps of determining the optimal fit of a plurality of compounds into pharmacophore (IA), as defined in claim 1, such that the lowest energy of interaction and the best steric fit are obtained. 3. Use of a compound as identified by the screening method of claim 2 in the preparation of a medicament which is able to interact with β-catenin/TCF-4 binding site. 4. A β-catenin/TCF-4 interaction modulating compound capable of adopting a structure having a pharmacophoric pattern essentially equivalent to the pharmacophoric pattern of pharmacophore (IA), as defined in claim 1. (Y), in its shortest way, is a spacer consisting of about 4 to 9 chain atoms chosen independently from C, O, N and S, which may have independently different hybridization states, and wherein two to five adjacent atoms of the chain my be part of an optionally substituted aryl, heteroaryl or partially saturated aryl or heteroaryl ring system, which may be either isolated or include ring (B). each of R1, R2 and R3, which may be independently the same or different, is chosen from hydrogen, halogen, cyano, a straight or branched C1-C4 alkyl group optionally substituted by 1 to 3 halogen atoms, a straight or branched C1-C4 alkoxy group, a N(RaRb) group wherein each of Ra and Rb independently is selected from hydrogen and C1-C4 alkyl; a NHCORc or NHSO2Rc group wherein Rc is C1-C4 alkyl; and a C5-C6 cycloalkyl-oxy or aryloxy group, in the preparation of a pharmaceutical composition, for use in inhibiting β-catenin/TCF-4 interaction. (A) is a ring selected from cyclopentyl, pyrrolidine, furane, pyrrole, thiophene, oxazole, isoxazole, imidazole, thiazole, oxadiazole, thiadiazole and triazole. Z is a substituent selected from hydrogen, halogen, hydroxy, cyano, C1-C4 alkyl, trifluoromethyl, C1-C4 alkoxy, amino, methylamino, ethylamino, dimethylamino, diethylamino, NHCOC2H5 and NHSO2CH3. each of R1, R2 and R3 is independently chosen from hydrogen, halogen, cyano, C1-C4 alkyl, trifluoromethyl, C1-C4 alkoxy, amino, methylamino, ethylamino, dimethylamino, diethylamino, NHCOC2H5, NHSO2CH3, cyclopentyloxy and cyclohexyl. each of R1, R2 and R3 is independently chosen from hydrogen, amino, hydroxy, C1-C4 alkyl and C1-C4 alkoxy. 10. The use according to claim 5, wherein the medicament is for use in preventing and treating proliferative disorders, including cancer, in inhibiting cancer metastasis, in treating Alzheimer's disease and in modulating hair growth. 11. The use according to claim 5, wherein the medicament is for use in preventing and treating colorectal carcinoma, melanoma, liver carcinoma, breast cancer and prostatic cancer. 12. 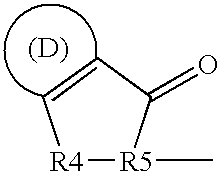 A compound of formula (I) or a pharmaceutically acceptable salt thereof, as defined in claim 5, for use as a medicament, provided that such compound is other than N′-[(E)-(5-methyl-2-furyl)methylidene]-2-phenoxybenzohydrazide. 13. A compound according to claim 12, for use in inhibiting β-catenin/TCF-4 interaction. 14. A compound according to claim 12, for use in preventing and treating proliferative disorders, including cancer, in inhibiting cancer metastasis, in treating Alzheimer's disease and in modulating hair growth. 15. A compound according to claim 12, for use in preventing and treating colorectal carcinoma, melanoma, liver carcinoma, breast cancer and prostatic cancer. each of R1, R2 and R3, which may be independently the same or different, is chosen from hydrogen, halogen, cyano, a straight or branched C1-C4 alkyl group optionally substituted by 1 to 3 halogen atoms, a straight or branched C1-C4 alkoxy group, a N(RaRb) group wherein each of Ra and Rb independently is selected from hydrogen and C1-C4 alkyl; a NHCORc or NHSO2Rc group wherein Rc is C1-C4 alkyl; and a C5-C6 cycloalkyl-oxy or aryloxy group, provided that such compound is other than N′-[(E)-(5-methyl-2-furyl)methylidene]-2-phenoxybenzohydrazide. (A) is a ring selected, from cyclopentyl, pyrrolidine, furane, pyrrole, thiophene, oxazole, isoxazole, imidazole, thiazole, oxadiazole, thiadiazole and triazole. each of R1, R2 and R3 is independently chosen from hydrogen, halogen, cyano, C1-C4 alkyl, trifluoromethyl, C1-C4 alkoxy, amino, methylamino, ethylamino, dimethylamino, diethylamino, NHCO-ethyl, NHSO2-methyl, cyclopentyloxy and cyclohehyloxy. 21. A pharmaceutical composition comprising a compound of formula (I) as defined in claim 16, or a pharmaceutical acceptable salt thereof, and a carrier and/or diluent. each of R1, R2 and R3, which may be independently the same or different, is chosen from hydrogen, halogen, cyano, a straight or branched C1-C4 alkyl group optionally substituted by 1 to 3 halogen atoms, a straight or branched C1-C4 alkoxy group, a N(RaRb) group wherein each of Ra and Rb independently is selected from hydrogen and C1-C4 alkyl; a NHCORc or NHSO2Rc group wherein Rc is C1-C4 alkyl; and a C5-C6 cycloalkyloxy or aryloxy group. 23. A method according to claim 22, for preventing and treating proliferative disorders, including cancer, in inhibiting cancer metastasis, in treating Alzheimer's disease and in modulating hair growth. 24. A method according to claim 22, for preventing and treating colorectal carcinoma, melanoma, liver carcinoma, breast cancer and prostatic cancer. MX2011005365A (en) 2008-11-20 2011-06-24 Panacea Biotec Ltd Novel antimicrobials. ES2267873T3 (en) 2007-03-16 4-aminothiazole derivatives, their preparation and use as inhibitors of cyclin dependent kinases. 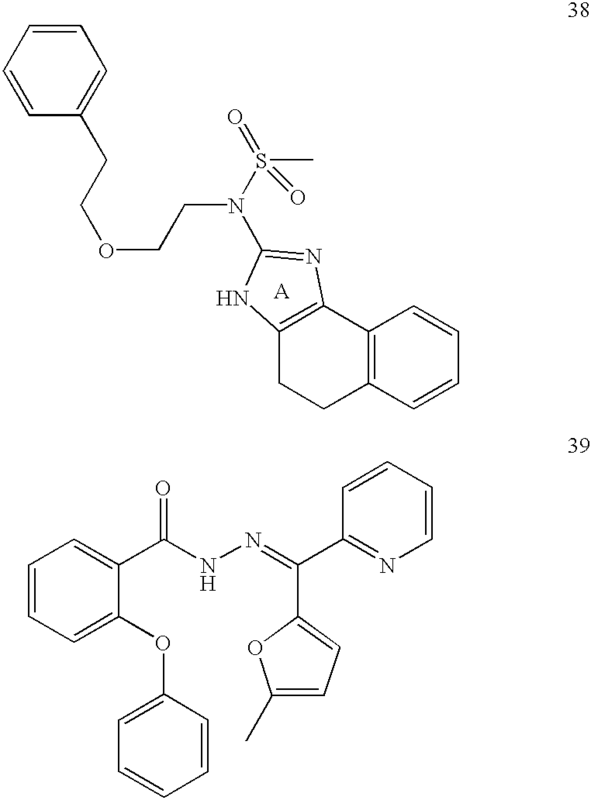 ES2266313T3 (en) 2007-03-01 Triazolodiamina substituted derivatives as kinase inhibitors. ES2315641T3 (en) 2009-04-01 P38 inhibitors and methods of use.